The Neoga Sav-Mor Pharmacy is proud to be known as one of the last locally owned independent pharmacies in town. You'll find every member of our staff to be knowledgeable and accessible. While our commitment to personal service is still the most important aspect of our business, we are constantly expanding to include many patient care services. 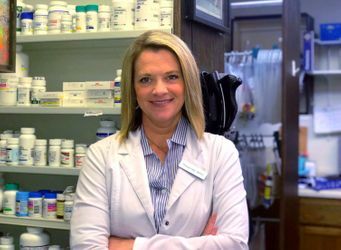 Through all of the growth and modernization, The Neoga Sav-Mor Pharmacy has managed to maintain the intimacy of a neighborhood pharmacy. We offer FREE delivery in the Neoga area, as well as FREE mail-out service. You can also try our fast, convenient Drive-Thru service.